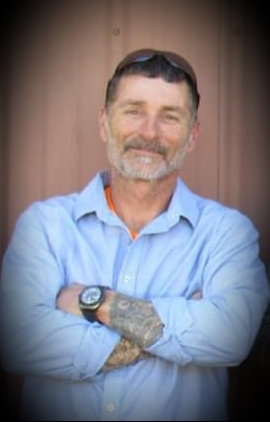 Troy Leon Stover, 48 years old, of Milan, Missouri, passed away Wednesday, November 28, 2018. Troy was born March 11, 1970 in Kirksville, Missouri. He is survived by: His mother, Glenda Magney and step father, Rocky Magney of Milan; two brothers, Yancy Stover and wife Melissa of Kimberling City, Missouri and Dustin Magney of Milan; six children, Maci Stover, Dakotah Stover, Austin Fox, Allie Stover, Fletcher Stover, and Tristan Stover; one grandchild, Zayne; and several nieces and nephews. He was preceded in death by: His father, Eldon Stover; and a son, Christian Stover. Troy grew up in Milan and graduated from Milan C-II High School in 1988. He then attended MMI Tech School in Daytona Beach, Florida. He trained to work on off shore oil rigs, he built water plants, and worked all kinds of construction from residential to pipe line. Troy loved to arrowhead hunt, bow hunt, and tearing apart motorcycles. He was also good at rattling up deer. Troy most loved his kids, they were his world. A funeral service for Troy will be held 1:00 PM, Sunday, December 2, 2018 at Schoene-Ruschmeier Funeral Home in Milan. Burial will follow in Oakwood Cemetery in Milan. A visitation is scheduled for one hour prior to the service, starting at 12:00 Noon, at the funeral home. Memorial contributions are suggested to go to Oakwood Cemetery.